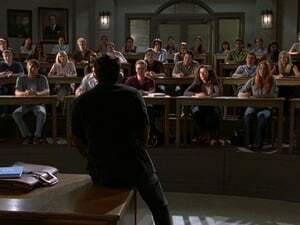 Sinopsis: J.D., Turk, Cox, Kelso and intern Denise return to Sacred Heart to teach med school, while new med students Lucy, Drew, Cole and Maya are put through the ringer on their first day of school. Sinopsis: Lucy learns a hard earned lesson about what it takes to be a doctor. Meanwhile J.D. 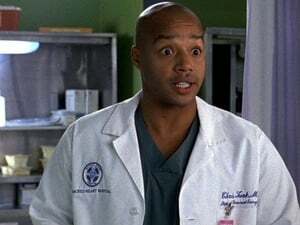 and Turk spot a potential love connection between Denise and the new med student, Drew, as they play matchmakers with a little bit of help from Dr. Kelso. Sinopsis: J.D. 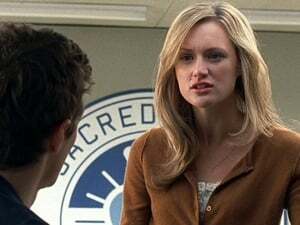 and Drew learn a tough lesson in mentoring when Dr. Cox and Lucy show them that sometimes the student is the teacher. Sinopsis: While their wives are out of town, J.D. 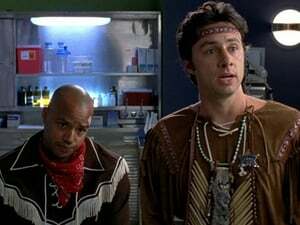 and Turk attend a med student's party; Kelso says goodbye to Ted and Gooch. Sinopsis: J.D. 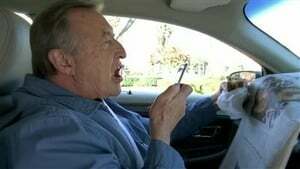 still clamors for Dr. Turk's approval as he approaches his final day of teaching at Sacred Heart, Lucy searches within herself for the courage to perform a basic medical procedure on a real human, and Denise and Drew make things official. 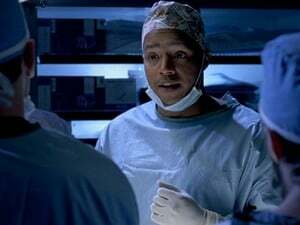 Sinopsis: While Turk struggles to find a replacement best friend, Elliott offers some sound advice and guidance to an over-worked and exhausted Lucy. 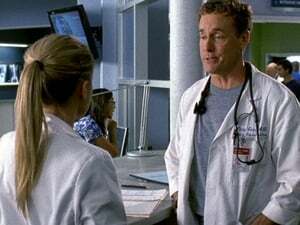 Sinopsis: Before receiving their white coats, the med students of Winston University must figure out why they want to be doctors, and Denise gets a little relationship help from Elliot. Sinopsis: The reality of having a baby begins to settle in for both J.D. and Elliot while Lucy struggles with the reality of operating on people. 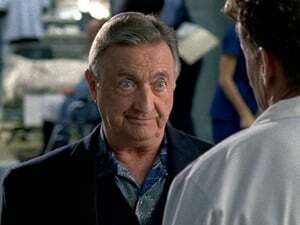 Sinopsis: A case of guilty conscience plagues the med school when a student cheats on an exam and Dr. Cox takes it out on the entire class. Meanwhile, Denise makes a startling admission of her own. Sinopsis: Lucy takes her new assignment as hell week "team leader" a bit too seriously, and Dr. Turk feels threatened when an internationally renowned surgeon pays a visit. Sinopsis: When Cole and Kelso both get negative results back after a few routine tests, they learn the hard way to put their egos in check in order to rein in the support of their so-called friends.